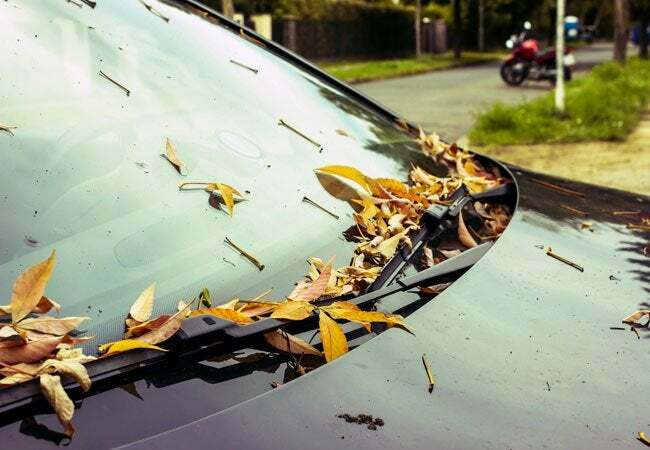 Do you have tree sap stuck to your car, deck, or clothing? Use these short and sweet solutions to remove the sticky substance ASAP. 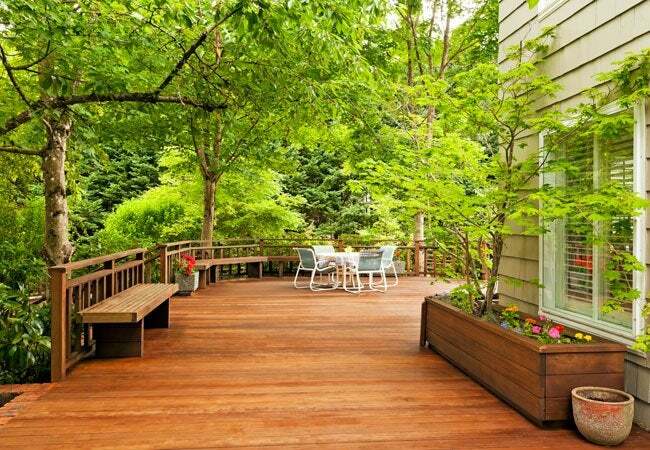 The beauty, shade, and privacy offered by trees make them a popular environmental feature for any property. But many varieties, from pine to maple, hide a sweet but sinister cargo behind their majestic exterior: sap. When the sticky substance drips or drizzles from trees, it can coat more than your skin. Your car exterior, wooden deck, and even the clothing on your back might fall victim to stray splatters. Fortunately, you don’t have to live with the remains of the resin for long. 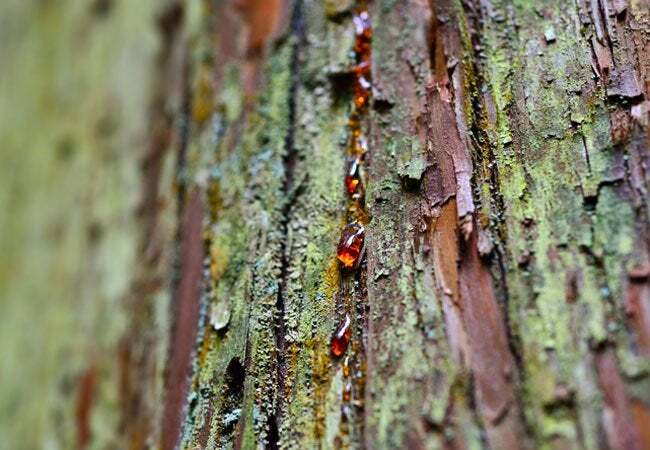 Read on to learn how to remove tree sap from common surfaces in surprisingly simple DIY ways. During the summer, the most sought-after parking spot in any lot is usually located under a shady tree. But while the tree’s broad branches will shelter your four-wheeler from the heat, they can also drip sap onto the hood of the vehicle. If left to linger for too long, that sap can eventually erode the car’s clear coat and discolor underlying paint. To remove the resin, skip a trip to the car wash and opt for an at-home fix using an emulsifier in your medicine cabinet: a no-frills acetone-based nail polish remover. Start by dipping a cotton ball into the acetone. Work the applicator in a circular motion over the sap-laden surface of the car until it’s clear of the residue. Don’t let the solvent linger for too long, as it can strip the paint. Once you’ve rubbed away the sap, give the spot a once-over with a clean cloth and a solution of one-part baking soda to three-parts water for a streak-free finish. If you feel a light drizzle on your shoulder as you lounge on deck but there’s no cloud in sight, the culprit might not be rain so much as a shower of sap from an overhanging tree branch. And it is a culprit! Left untreated, the sap can saturate even sealed wooden decking and leave behind unsightly stains once it hardens. The simple solution for the stubborn mess? Mop undiluted oil soap, such as Murphy (view on Amazon), over the affected area of the deck. Let the wood absorb the soap for 10 to 15 minutes, then scrub the sap with a stiff-bristle brush doused in water. Hose down the deck to send the sap out of sight and out of mind for good. 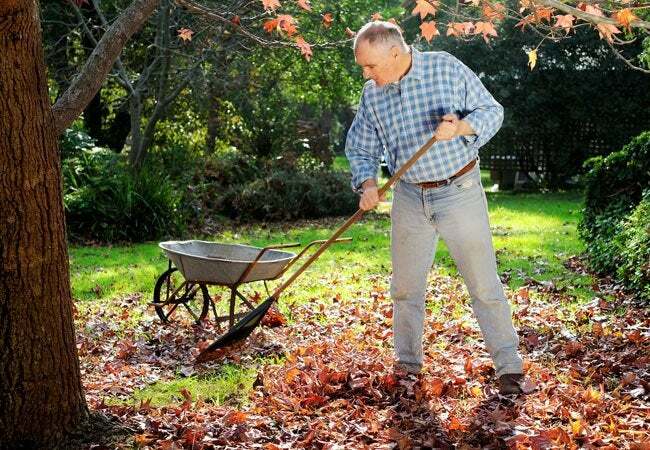 Whether you’re relaxing in a backyard hammock or raking up leaves from your yard’s shadiest trees, a retreat into nature can easily go awry when tree sap sticks to your clothing. However, removing tree sap from your garments is as easy as a walk in the park. Head home and place the grubby clothing in the freezer for up to two hours. If the item is too large for the freezer, cover the sap stain with an ice pack or wax paper topped with ice cubes. Once the stain has gone from sticky to frozen solid, wiggle a butter knife beneath it to lift it from the fabric, or use the knife to crack the brittle sap and then scrape it away. If any resin remains, pre-treat the offending spot with warm water and vinegar and then toss your garments into the washing machine, where ordinary detergent and water will restore your fashions to a like-new condition.